Before I go on to give you March highlights, I would just like to remind you that our theme in February was “All Around the World”. 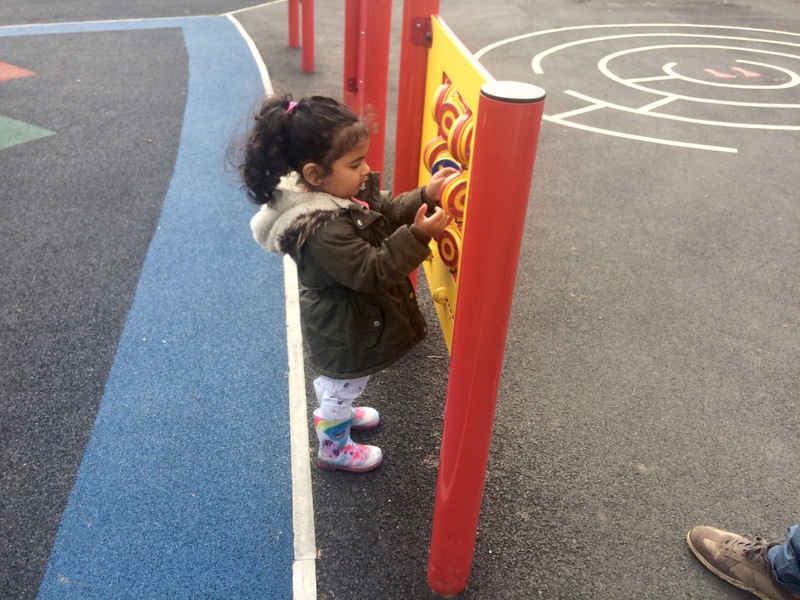 As part of that theme, we thought it would be lovely for the children to interact with other children their age in other countries. 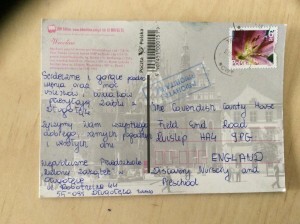 We reached out to nurseries in Poland and Singapore who would like to have us as a pen pal. And we have made some lovely connections. We would like the children to be able to send across their drawing and notes to their new friends. And maybe even a picture of their class. If you would NOT like your child to participate then please let me know. The focus in March was on Spring. The children were encouraged to participate in gardening and to learn about how fruits and vegetables grow. The children learn’t about the germination process, made bird seed ornaments, and were introduced to the process of photosynthesis. 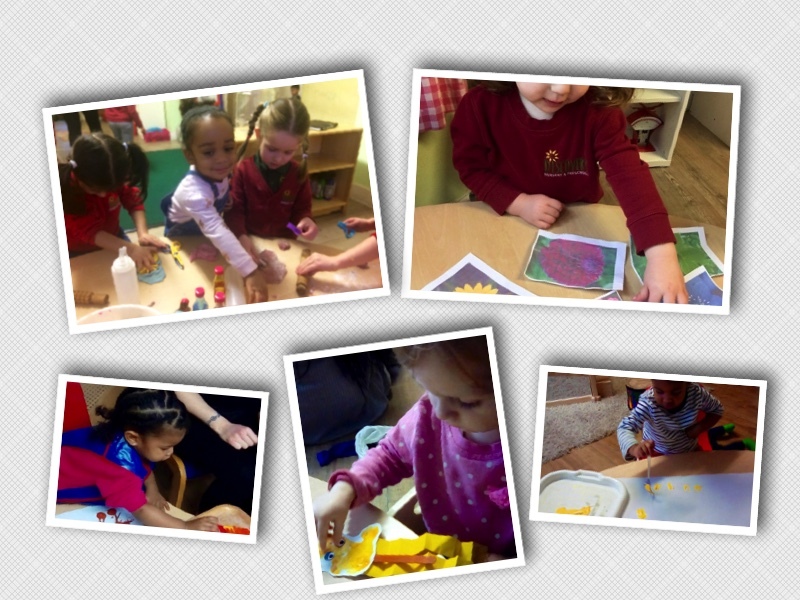 Spanish sessions last month focused on the names of different fruits and vegetables. The children were amazing. Many thanks for your contributions. We were able to donate 50 pounds to this worthwhile charity. Many thanks to those parents who came in to read a story to the children. 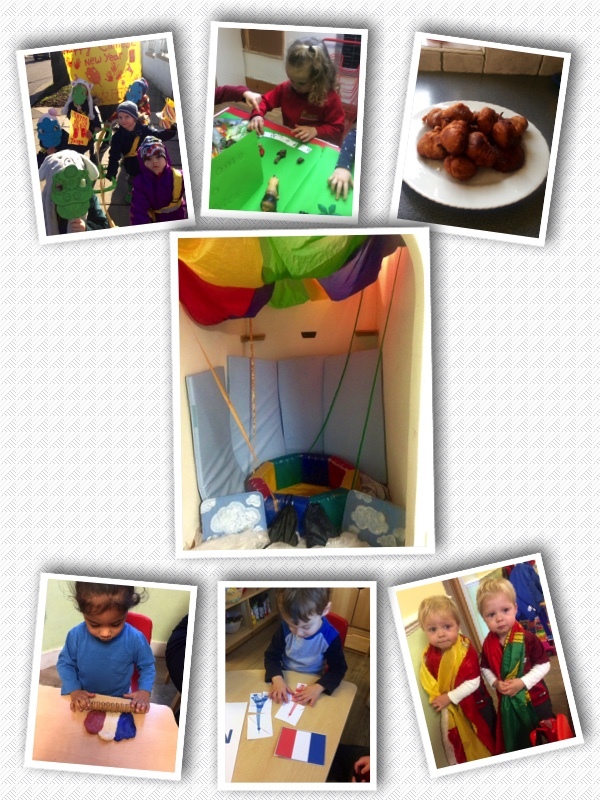 It was lovely to have the parents in the nursery. 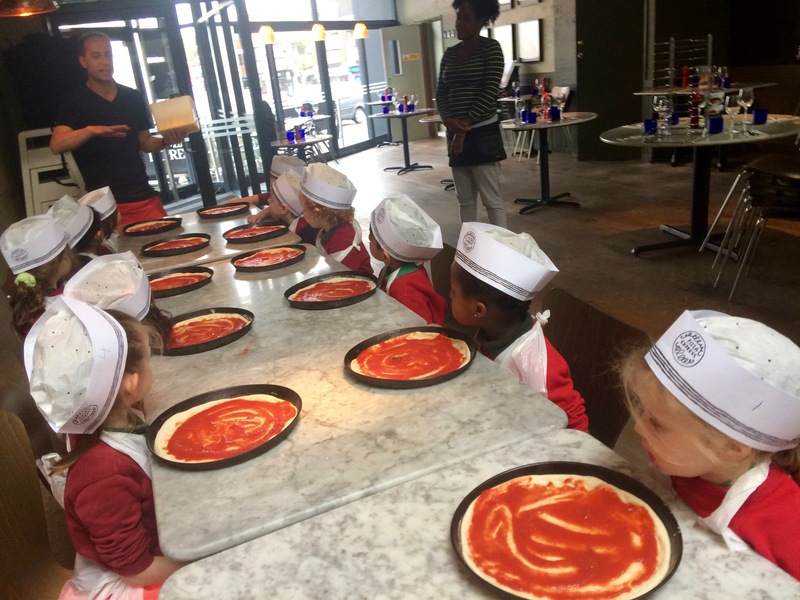 Preschool trip to Pizza Express. 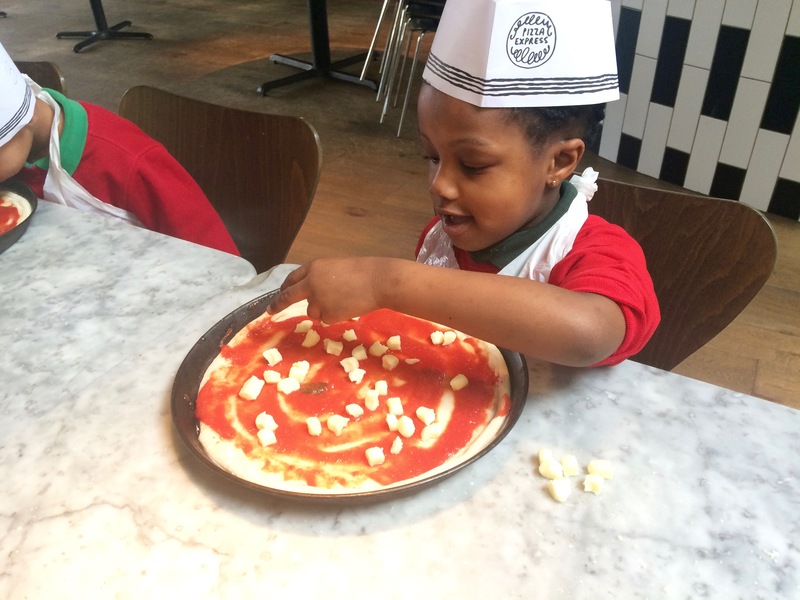 We thought that we would travel to ‘Italy’ the home of Pizza, but found out that the first pizza was actually made in Egypt and named after the Queen Margherita. 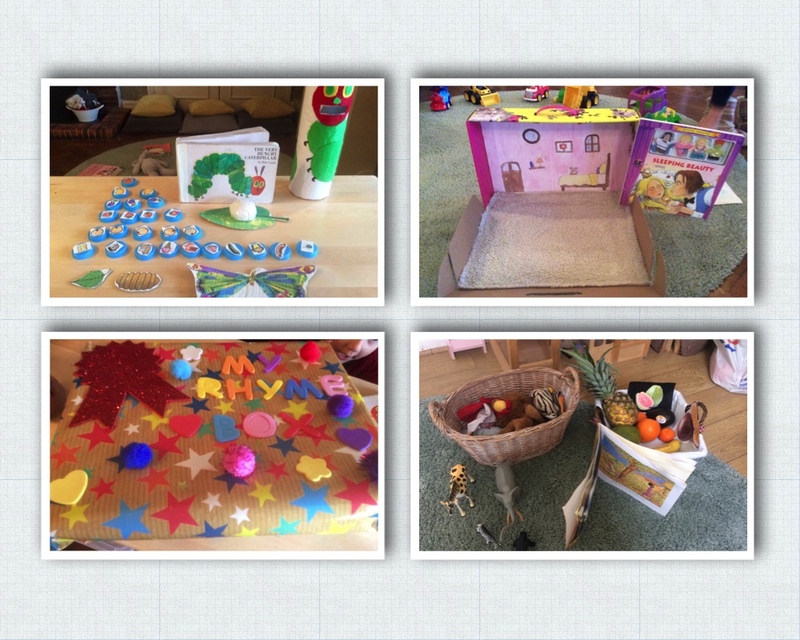 Preschool objectives for next term is to reinforce blending and segmenting, introduce sight words and work on simple sums. Parent feedback: We are committed to good customer service and ensuring that we maintain our high quality. A survey to gain parent feedback will be sent over the next couple of weeks. Spring Term reports will be available for you to view from week commencing 16 April 2018. 3 May 2018: Eastcote nursery is closed for Polling Day. February was an action packed month. 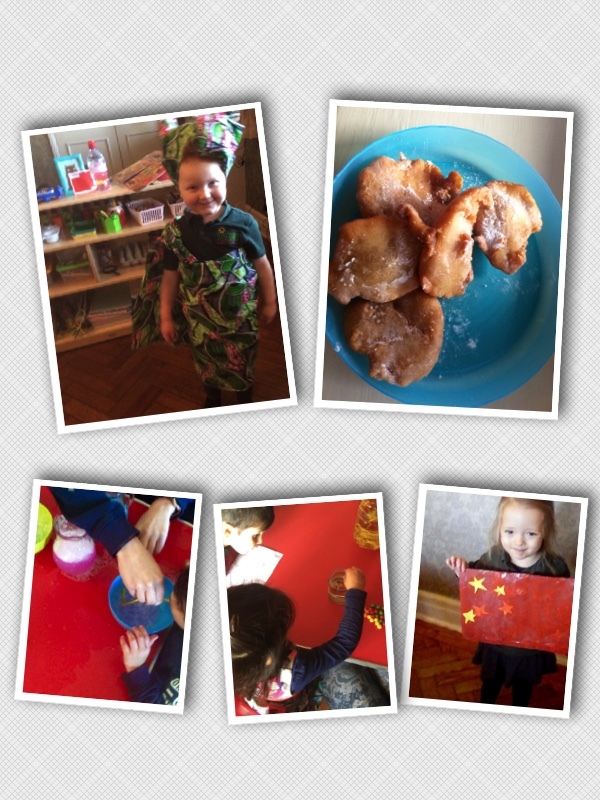 Chinese new Year, Valentines Day and Discovery Greenford’s 3rd birthday were some of the highlights. February’s theme was “All Around the World” and it was lovely to introduce the children to so many different countries and cultures. Introducing the children to the different continents, cooking local food, CNY parade and dressing in traditional cloth is some of the many things that the children participated in. 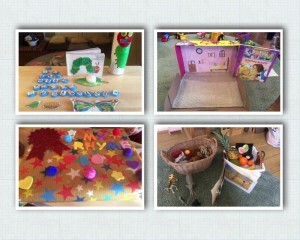 Preschool objectives for next term is to focus on blending and segmenting. The children have been making great efforts. This month, we are also pleased to welcome Shivank, Hubert and Roxana. This month, we are also pleased to welcome Laura, Emma and Sam. 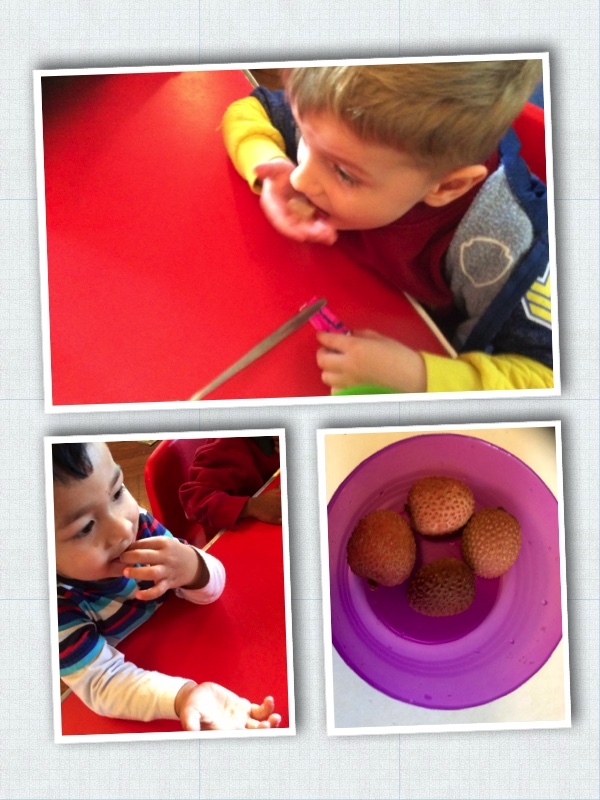 Lychees – an acquired taste! 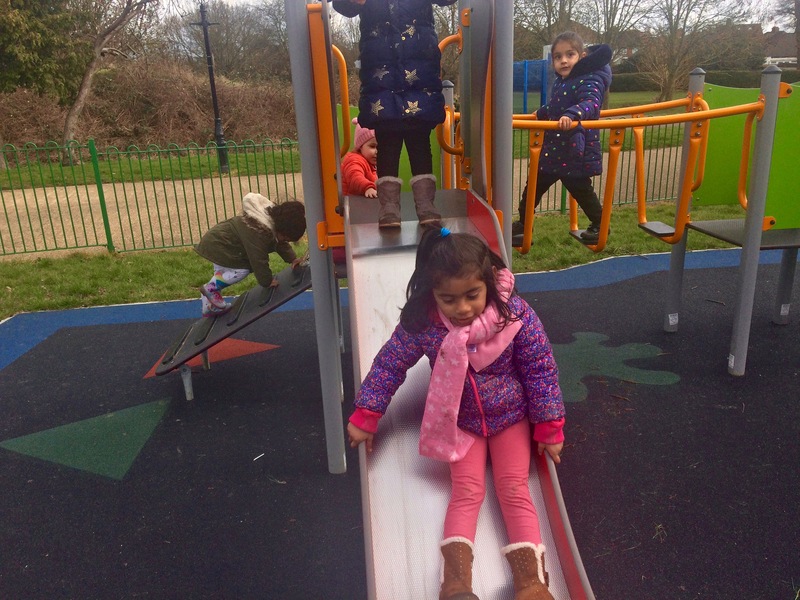 Eastcote Preschool trip – Wednesday 7th March (weather dependent). Permission forms will be uploaded onto the Parents closed Facebook page. What a fabulous start we have had to the year. 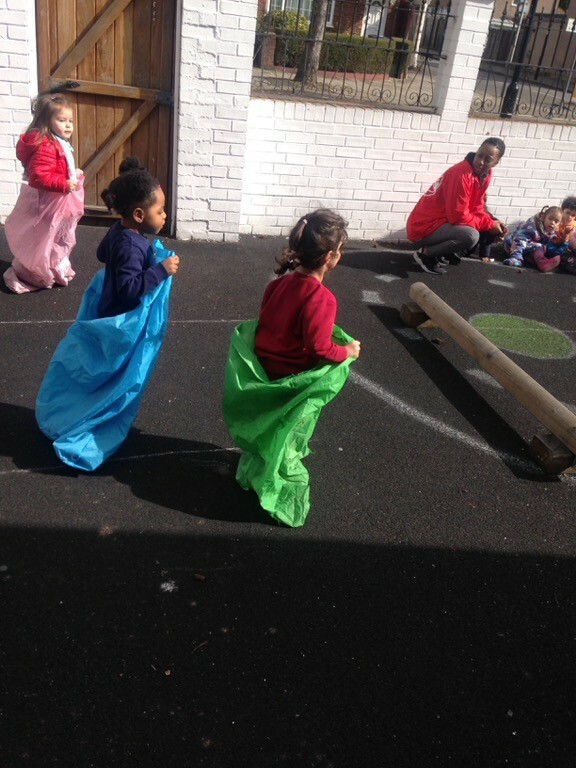 It was lovely to welcome the children back after the holidays, and amazing to see their development. Please note that Autumn term reports are available to view on Tapestry. If you have any problems viewing your child’s report please let me know. 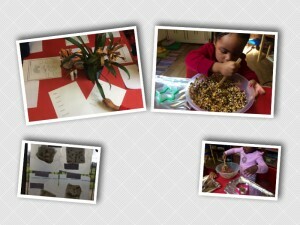 This month’s theme has been ‘Seasons’ and the children have amazed me with their interest, recollection and creativity. 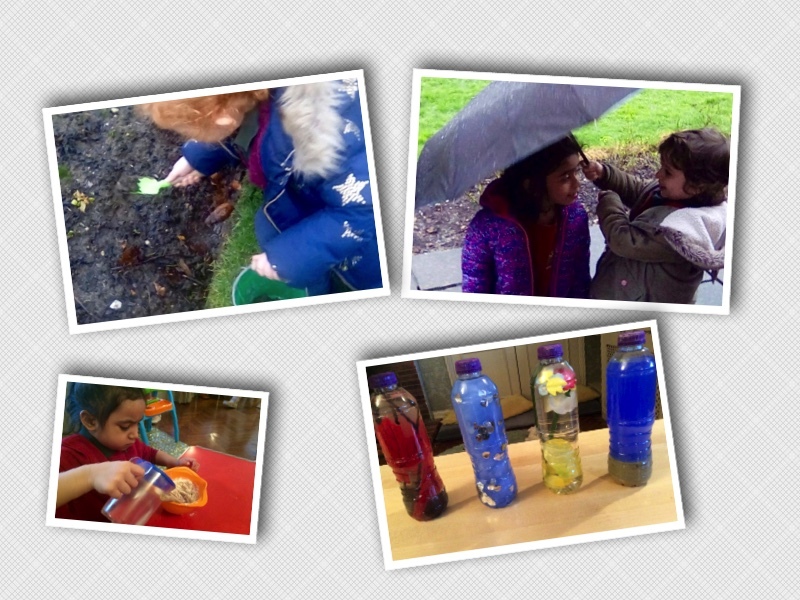 Making season bottles, making snow out of bicarbonate soda and shaving foam, and gardening – have been some of the fun activities that we have done to reinforce the theme. 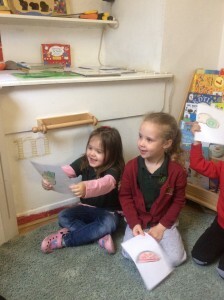 Preschool have been doing tremendously well with their writing, and early maths. Phonics is progressing and the focus is moving towards blending and segmenting. What a fabulous start we have had to the year! We are sad to be saying goodbye to Paulina who will be leaving us in February to take up a position with a school. Paulina has been with the team since 2016 and will be missed by us all. We have recruited a replacement for Paulina and I have high hopes that she will be a fabulous addition to the team. Nerimane has considerable experience and has worked at Greenwood Primary school for over 4 years. She will begin her induction next week. Due to a house move, Agi has relocated to our Eastcote setting (which is a few minutes from her house). She will be back in Greenford during the holidays, and was sad to leave her key group. Sue will now take over as key person to our youngest key person group and will send parents a message via Tapestry. This month, we are also pleased to welcome Ismaeel, Taylor and Adam. In January, we were sorry to say goodbye to Maria who had to leave on short notice, but very pleased to welcome new additions to our team. 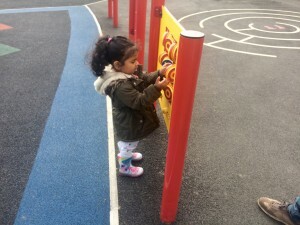 Agi who has been with Discovery Greenford since 2016 moved over to Eastcote. We also welcomed Natasha (Level 4 qualified) and Wiktoria (degree in Early Childhood studies). 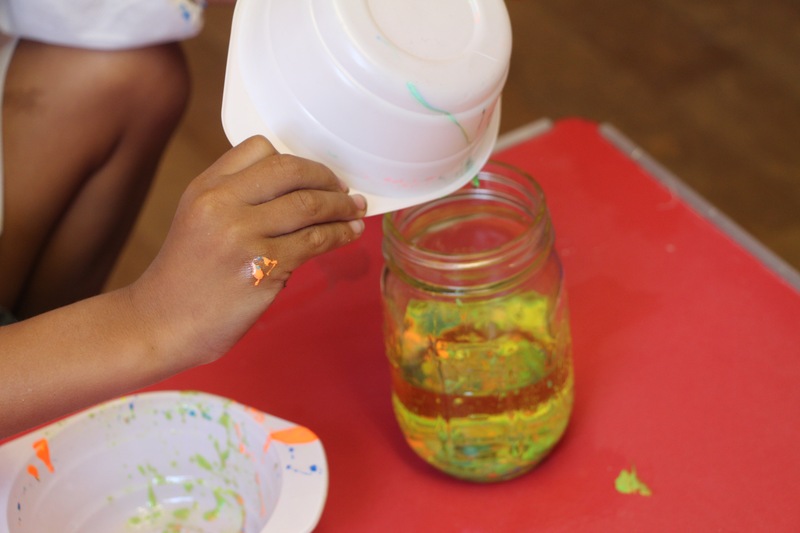 Wisteria works on Tuesdays and Wednesdays and provides additional support for one to one activities with children. This month, we are also pleased to welcome Aria, Aaradhya, Zian, Maher and Elijah. March 1st: World Book Day (children can dress as their favourite book characters). Lavi.cris on Happy Birthday Lavinia!!!! kasiashewu on Happy Birthday Afshan!